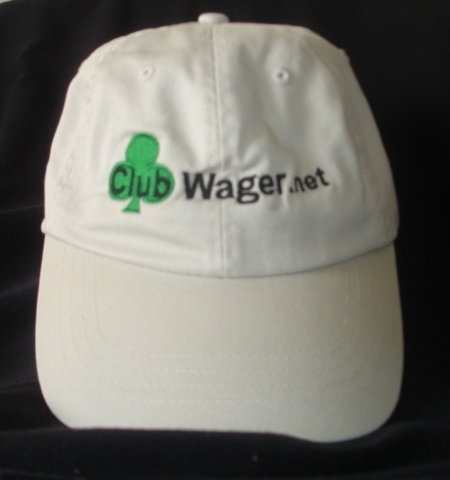 Buy a Club Wager Logo Poker Hat or apply for a free one. For wagering posts please choose from the top menu. 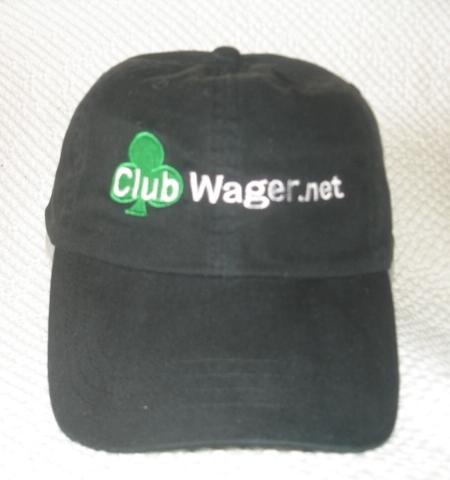 Get a Free ♣ClubWager Hat! Use any of the links or banners on this website (such as on our promotions page) to go to Bovada (for sports book, horse racing and casino), Ignition (for poker and casino) or Americas Cardroom (for poker, sports book and casino). Open a real money account there and make a first deposit to your newly opened account within 30 days and then make at least one wager or play at least one poker hand for real money. After you complete these requirements, go to our contact form page to send us a message telling us which one you joined, your username, which color hat you want, and the address (within the United States and Canada) to which we should send it. As soon as we receive your email, we'll check to make sure the site you joined is being tracked to us. If you complied with all of the requirements, usually within 24 to 48 hours, we'll mail the hat to you. Please allow up to a week for the mail to reach you. ♣ Club Wager logo baseball-style caps are high quality with velcro strap - one size fits all. Click image for a larger more detailed image. Our logo baseball-style caps are high quality with velcro strap - one size fits all.